That didn't take long: Android 2.2 just started shipping this week, but rumors of the upcoming Android 3.0 release have already emerged. Speculation on Google's next major release of Android, code-named Gingerbread, comes from Russian site Unwiredview, which has had some scoops before. Still, there is no official word from Google, so take it all with a grain of salt. According to the site, Android 3.0 would arrive in mid-October, with the first handsets shipping in time for the holiday season, around November or December. 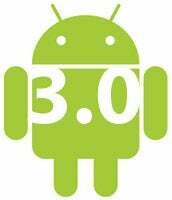 Android 3.0 would also introduce a new set of minimum hardware requirements, encompassing a 1-GHz processor, 512MB of RAM memory, and displays no smaller than 3.5 inches. Higher resolutions of up to 1280 by 760 pixels would also be available for devices with displays larger than 4 inches. If true, the minimum requirements won't mean that all new Android phones will be power-horses. Unwired says that Google intends to split Android into two branches: high-end devices running version 3.0, and low-end devices running 2.1/2.2. Rumors of phones running on 2-GHz processors add fuel to the Android 3.0 rumor mill as well. We first heard from Motorola that they are working on a 2-GHz phone, and now Oxford-Zeiss Research speculates that HTC is working on its own 2-GHz phone code-named Sabor, with a 10-megapixel camera and 1080p video recording. Last, but not least, Unwiredview claims that Google would bring a "completely revamped user interface" to Android 3.0 (as heard with previous rumors from TechCrunch). There aren't any specific details on the improvements, but the site says the interface across the OS would be similar to the Gallery app on the Nexus One (video). If Android 3.0 UI is good enough, hopefully manufacturers won't develop their own interfaces, the main point of software update delays to most Android phones. Follow PCWorld and Daniel on Twitter @pcworld and @danielionescu.